Soooooo, if you really think you will survive after this nail clipping thing, I will prove you wrong, you stoopid human! Been there, done that. 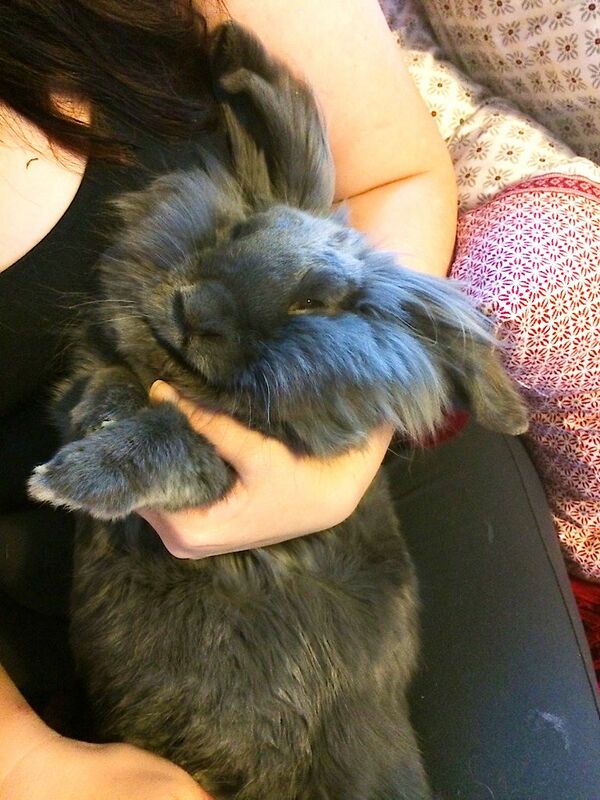 What a scary job, but such a cuddly bunn! Oh yes, cuddly and cute, but I am sure he is steadfast in disapproval of nail trims. Whoever is holding that rabbit needs to look up 'TRANCING' because that is what she's doing and it's dangerous. Please don't have pics up of people trancing their rabbits, it's animal cruelty and you're encouraging it by saying it's cute! !